Rubber stamp is required for every company in Singapore regardless the size. Our rubber stamp is Pre-ink rubber stamp (oil based ink). It uses a simple flipping mechanism which transfer ink to the rubber & create an impression onto paper in an enclosed beautiful casing and no ink pads required. 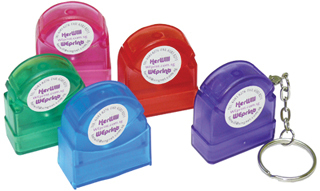 Pre-ink rubber stamp will create around 50,000 impressions before re-inking. It suitable use for office, school and personal. If you like to design your company stamp offline, you can download the design template in adobe illustrator below. Click here to download company stamp Singaore design template in adobe illustrator format. © 2014 Easitech Pte Ltd. All rights reserved.